Local business owners don’t always agree on everything, but one thing they concur on is finding a way to increase revenue and cut unnecessary spending. Your fleet is your investment, your money. Our goal is to maximize your investment return by providing you with Industry Proven Vehicle Tracking Technology. Global Business Concepts is a VehiclePath and GEO Authorized Distributor offering you the latest in technology and experienced customer design and support. Please contact us for a no obligation FREE fleet analysis. Geotab, Inc. (“GEOTAB”) has launched GO5, a small, plug-and-play form factor device with GPS vehicle tracking capabilities for your fleet. The GO5’s patented tracking algorithm tracks important detail and works in places with little coverage, the company said. The built-in 3D accelerometer provides analysis of accidents, harsh braking, rapid acceleration, and unsafe turns. 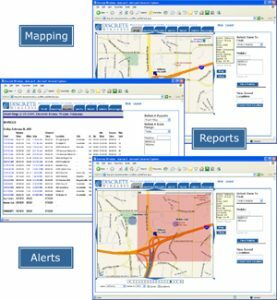 In vehicle warnings and alerts can be activated with the creation of rules, which can be setup through Global Business Concepts using GEOTAB’s web-hosted fleet management software. The GO5’s specifications sheet is available here. complete the following contact form. You will have a reply by end of the day, thank you.